Are you looking to be a part of an integrity-filled, gritty, hard-working, activist community? Are you a bold, outspoken, and compassionate truth-teller? Want to join our team? Check out what jobs and internships we have open. We’re seeking a Development Associate and a Program Officer to join our team, which is based in San Francisco. Breast Cancer Action is an equal opportunity employer. Women and people of color are strongly encouraged to apply. We’re also looking for interns who are eager to bring their talents to Breast Cancer Action to support our work. In return, we’ll provide opportunities for you to strengthen your skills in fundraising, communications, and strategic planning while you learn about our programs, the politics of breast cancer, and grassroots health activism. Want to get involved, but need something with a little more flexibility? We’re always looking for volunteers. Sign up to be a volunteer, and as needs arise for which you might be the perfect fit, we’ll be in touch! Learn more about our work. Check out our most recent annual report. 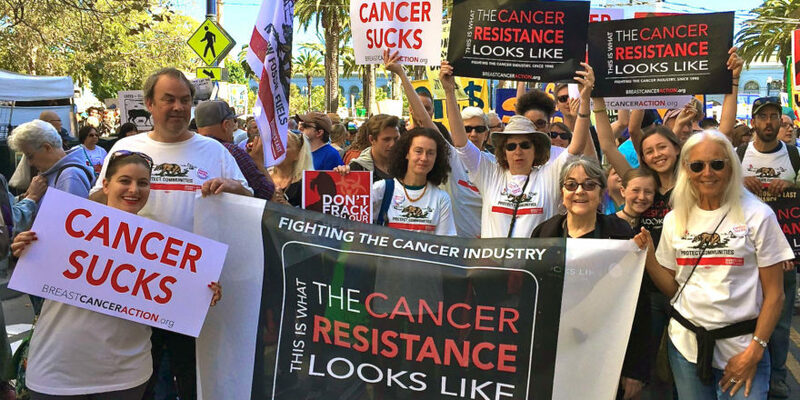 You’ll find highlights about our success resisting the relentless attacks on healthcare, how we helped mount a broad national campaign calling on California Governor Jerry Brown to put an end to fracking and dangerous drilling that harms frontline communities and threatens to increase breast cancer risk across the country, and more. And if you know someone who would be a great fit with our lean and feisty organization, one that achieves what might often seem like insurmountable accomplishments, send them our way! We’re hungry for change. We don’t sit on the sidelines, and we don’t sit around and worry. 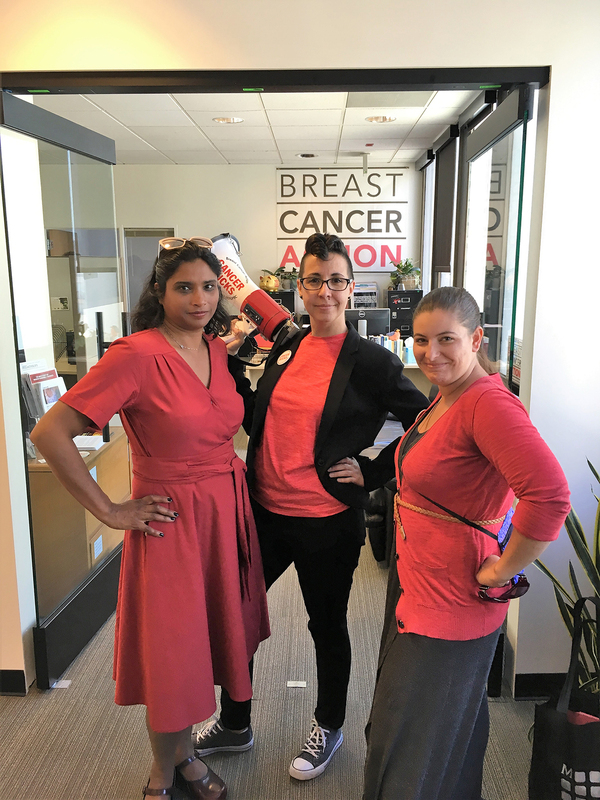 As activists, we do what’s necessary to bring about the changes that will ensure health justice for all women living with or at risk of breast cancer. And we believe in our bones that change happens when we, working together, demand it.